Has an amazing watermelon scent that everyone loves! 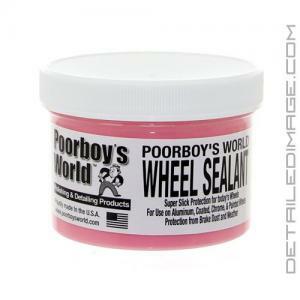 The Poorboy's World Wheel Sealant is one of the strongest forms of protection you can give your wheels. It's safe on all wheels and works well in all conditions. The Wheel Sealant's micro thin barrier of protection will help prevent the build-up of road grime and other contaminants. Brake dust will repeatedly hit the same part of the wheel at very high temperatures, which can cause pitting on your wheel's finish. The Wheel Sealant is particularly good at preventing high temperature brake dust from sizzling on the wheel. It's so resistant to high temperatures that its melting point is estimated to be over 400 degrees. This keeps brake dust and contaminates on the surface so you can clean your wheels much faster and with far less stubborn build-ups. For maintenance just wash your wheels with an automotive shampoo and a clean wash mitt or sponge and reapply the Wheel Sealant every 1 - 2 months for best results. 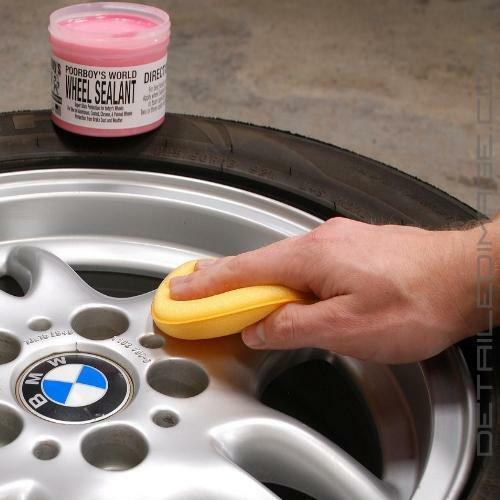 The Wheel Sealant applies very thin, removes super easy, has a great watermelon scent and leaves a great shine on the wheels. 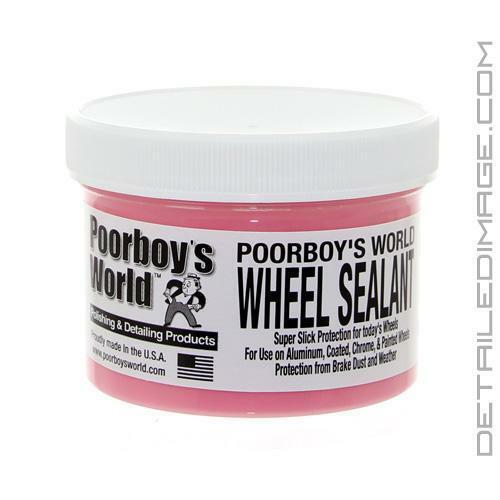 Let the Poorboy's World Wheel Sealant keep your wheels looking better for longer. DIRECTIONS FOR USE: For Best Results, wash, dry and polish wheels first. 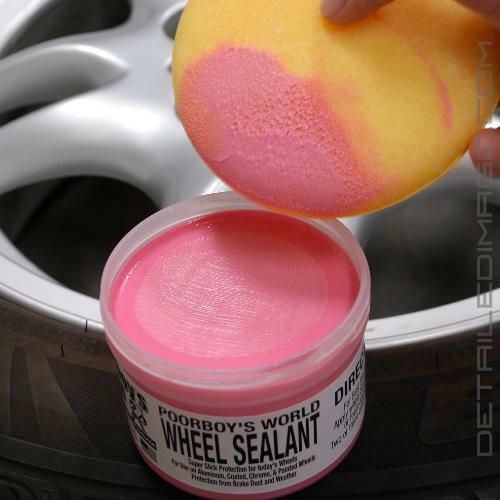 Apply wheel Sealant to cool, clean wheels with a soft cloth or foam applicator. Let it dry to a haze and buff off. Two or three coats will make it repel brake dust even better!! Used this sealant on my new Chevrolet 2500 HD wheels. After several washings the brake dust and dirt just rinse right off with minimal wiping. It did take two coats to achieve this result. I recently was very near the end of my tub of PB's Wheel Sealant. I took a look here, and elsewhere for something new to try. I asked myself "why would you try anything else when you love this stuff"? PB Wheel Sealant is definitely one of those products in my arsenal I will always have on hand. Inexpensive; easy to use; works as described; etc etc. So, I ordered more. Poorboys does/did it right! It does what it advertises. I do not see a lot of break dust under normal conditions and it makes cleaning my chrome wheels much easier. Whether regular wash or spray detailer, they wipe clean no problem! Thank you very much. I truly love doing business with DI.